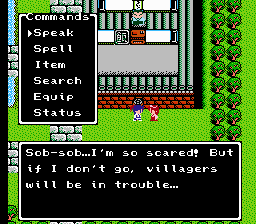 Yep, Dragon Quest clone. This has a lot more promise than others that I’ve seen, only because the intro’s pretty cool, and I’m a sucker for stuff with an Eastern influence. 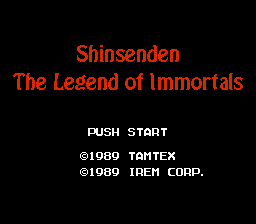 Yeah, so go Shinsenden! Whee! 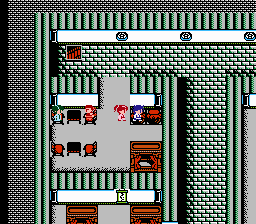 Another “oriental” style game for NES. Please, check README and feel free to take a look at the complementary Info file, if you have some time and knowledge.